Ethan Miller/GettyZappos CEO Tony Hsieh. 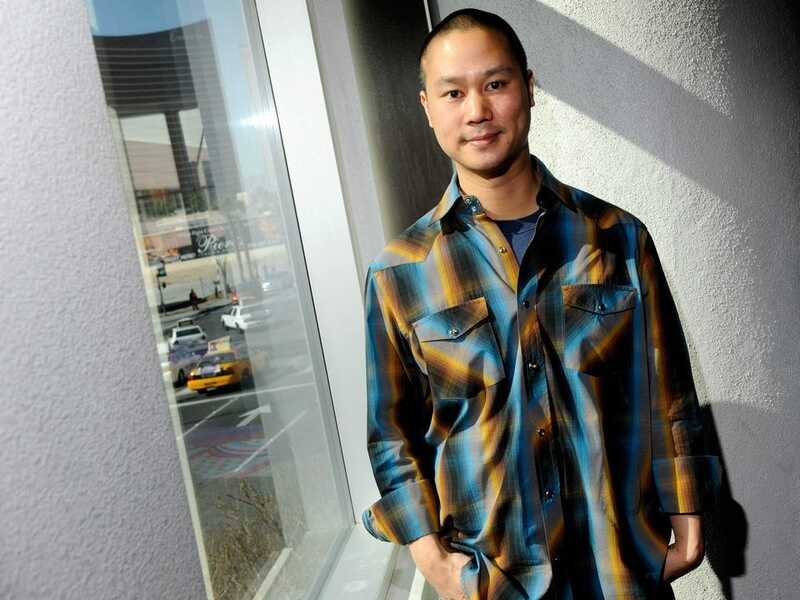 Since 2012, Zappos CEO Tony Hsieh has been working to transform Downtown Las Vegas by investing $US350 million of his own money and funding 300 new businesses ranging from clothing factories to bars and restaurants. So far, he tells Inc., his favourite part of the Downtown Project, the official name of his urban renewal effort, has been getting to meet and connect with all of the entrepreneurs who have followed him to Las Vegas. And Hsieh’s love for entrepreneurs is not about having other business people around. Perhaps that’s why Hsieh looks for entrepreneurial spirit in his own employees at Zappos, the Amazon-owned shoe retailer he has led as CEO since 2000. Without anyone holding their hands along the way, Zappos employees have to come up with their own solutions and “make something happen” — just like entrepreneurs do.